LCZero blog: Leela wins the match series against Komodo and wins a Pawn odds game against Stockfish! Leela wins the match series against Komodo and wins a Pawn odds game against Stockfish! Leela won 16-14 against Komodo the 30 games match to determine 3rd position in CCCC1, while on the variants tournament she won a game against Stockfish while being handicapped having a Pawn less!! So the 3rd place Komodo-Leela match has ended with Leela winning 16-14, having 5 wins, 3 losses and 22 draws, so Leela had finished 3rd in the first CCCC tournament according to Chess.com changed rules. One thing remains to be seen though if they will remove game 3 of this match where from a mistake/bug the same opening with before was repeated while it shouldn't. They had to use 15 predefined opening positions(for 3 first moves) with reversed colors, so each engine will have to play every position once with black and once with white. So this normally happened in the first 2 games where Leela won both 2 games(as white and as black) with a specific opening(Torre Attack). Then while King's Gambit opening should have been used in the 3rd game (Komodo had white), the previous Torre opening was used again. Komodo deviated early in move 10 so a completely different game has been played. Leela won again. Thing is the final score is 16-14 and if we don't count the 3rd game it would be 15-14, so Komodo would have a chance to tie the series with the Komodo-Leela game on King's Gambit opening. Even though in that variation of King's Gambit, engines favor black and usually engine games end with a draw or a black win but this has to be seen for the current pair. Meanwhile the Chess variants games have started. First is the f2-Pawn missing variant where Leela already lost easily the games as white against Komodo and Ethereal, drew with black against Houdini and made a shocker win with white, against Stockfish! Yes Leela being handicapped playing with white with a missing f2-Pawn, went on to win against Stockfish after slowly outplaying it to reach a won endgame. Stockfish made a mistake in a tough position very early but this was not the critical mistake since after that the position was equal anyway. Somehow without any apparent big mistake of black(Stockfish), black's position got worse and worse and the endgame they reached was won for white, where Leela after her usual shuffling instead of immediate killing, managed to win. 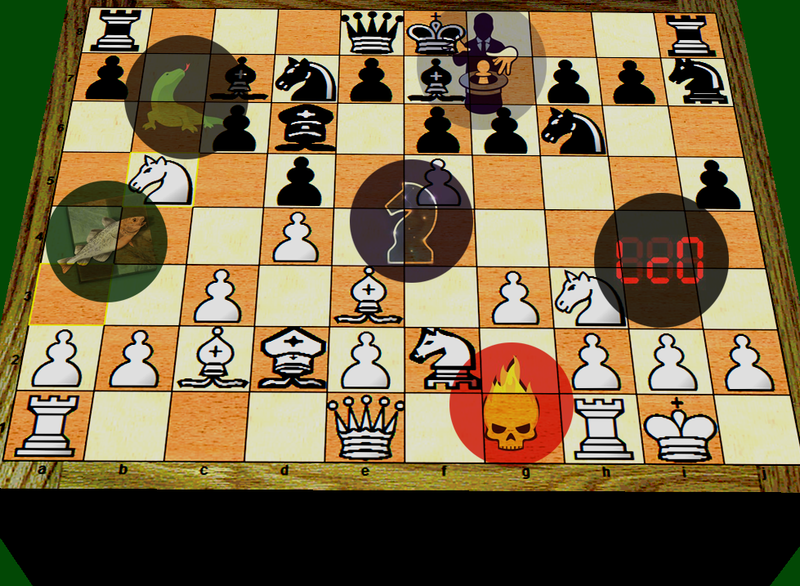 It was also the first win with white pieces of any engine till now in this variant, after 9 black wins and 4 draws!! For more info about it READ HERE where all 5 variants are explained. Testing about the aforementioned, in the above blog post, disparity in results/behavior of Leela between a FEN position and a PGN position(with history of moves that lead to the desired position), the following 2 gaunlets had Leela with Lc0v18 11089 +3-6 TBs versus: Stockfish dev, Stockfish 8, Fizbo 2, Ethereal 11, Andscacs 0.94, Booot 6.3.1 and Fire 7.1 from the "Up one row" position variant that they will play in the variants tournament. Time control was 4'+2" and the Stockfish/Leela nodes per second ratio of 850, the same Deepmind used for AlphaZero-Stockfish 8 games(while in CCCC they have 2000, which, compared to 850, is more in favor for traditional engines obviously). Ng8 9. Bf2 Nf6 10. e3 Ng8 11. Ne2 Nf6 12. Nf4 Ng8 13. Ng2 Nf6 14. Nd2 Ng8 15. Nc4 Nf6 16. b3 Ng8 17. Nb2 Nf6 18. Ke2 Ng8 19. Qd2 Nf6 20. a3 Ng8 21. h3 Nf6 22. So in this particular variant, Leela doesn't seem to be affected much by the FEN issue she has. She even got a point more with FEN! Wow, A wonder achievement by Leela. Thanks to the LC0 Team, so much hard work is paying off with amazing results. i bought a RTX 2080 Founders edition (initial position 25kN/sec). Now it is crashing (black screen) after 5-10 minutes. (I did not have this problem in the first couple of days. screen turns black, fans start working harder. I think the temps go high. CPU, computer is still on. Does anyone have any ideas? I think it is a temp issue, but it was working well first couple of days. Why does she never plays e4?